If your income is greater than the median income for your state of residence and family size, you still might meet part (b) of the means test after taking into consideration certain expenses as defined by the Bankruptcy Code and other deductions, including regular charitable donations, school expenses, payments on 401(k)/IRA loans, and health insurance. Family size 4: $62,742 per year. You then add an additional $7,500 per year for each additional household member. With the release of the new data from the DOJ and the Census Bureau, these figures went up approximately $2,000 per category per year on May 1, 2012. Family size 4: $64,722 per year. As mentioned earlier, filers can add an additional $7,500 per year for each additional household member above four. 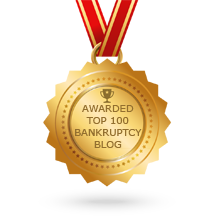 If you find yourself needing the services of a bankruptcy attorney, please call us at (904) 685-1200. Source: “Census Bureau, IRS Data and Administrative Expenses Multipliers,” published at Justice.gov.